1) Lana Del Rey wrote this song for the soundtrack of The Great Gatsby. She wanted it to reflect the feelings of Daisy Buchanan. Have you read The Great Gatsby? More than once. It was my favorite book for a while there. Gatsby epitomized "the ends don't justify the means," yet I admired his optimism. Never could stand Daisy, though. I remember the first time I read what Nick said to Gatsby, "You're worth the whole damn bunch of them put together!" I was all like, "Bravo, Nick!" 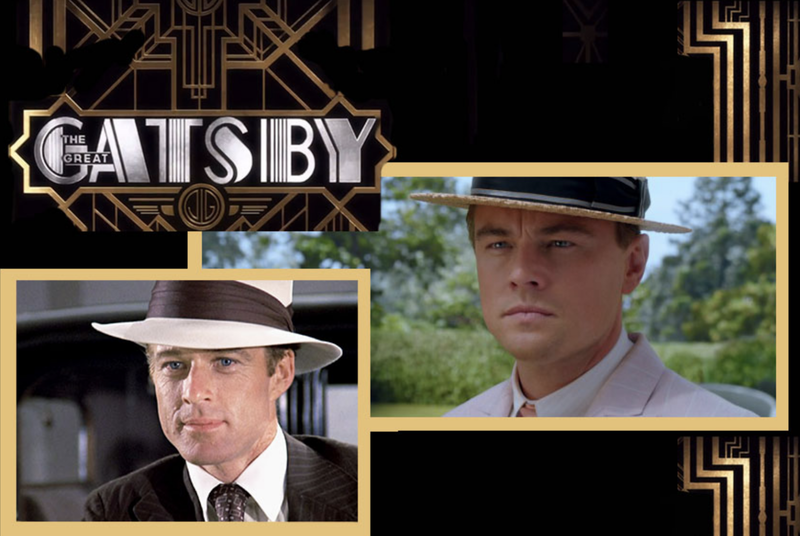 2) In the 1970s, Robert Redford portrayed Jay Gatsby. In the 2013 version, Leonardo di Caprio played the part. In real life, both "Gatsbys" have helped raised funds for the NRDC (Natural Resources Defense Council). Are you careful about recycling and conserving water/electricity? I'm a handy little recycler and, since redoing my bathroom, I'm better with water. I do keep forgetting about shutting off lights, though. I preferred Redford as Gatsby. Leo seemed too naive. 3) Lana Del Rey admits that she dropped out of college because she simply could not get the required math credits. When confronted with basic addition, subtraction, multiplication or division, do you do it in your head? Reach for pencil and paper? Or do you take advantage of the calculator that's on your desktop or phone? I have an old-school Office Max calculator that I use a lot. I get frustrated with the one on my phone. Fat fingers, dontchaknow. 4) She enjoys Kurt Cobain, Eminem, Elvis and Sinatra. Which of those four gentlemen did you listen to most recently? I never listen to the first two, but I adore the last two. It's close, but I'll say Elvis. 5) Speaking of Sinatras, she has described her high maintenance look -- big hair, long nails, elaborate eye makeup, full lips -- as "Gangster Nancy Sinatra." How long does it take you, on an average day, to prepare to face the world? This is hard to answer because I get so distracted during the process. I'll go into the bedroom to get my brow pencil and remember I haven't chosen my day's blouse yet. And then I'll take the lint brush to my chosen blouse (cat fur, always cat fur!) and I'll catch sight of myself in the mirror and say, "Oh! Makeup!" and grab the pencil and head back into the bathroom. If I was to concentrate on the task at hand -- pencil, shadow, mascara, and tinted moisturizer -- I say at most 15 minutes. 6) She's a big soccer fan, and her favorite team is Liverpool FC. Here in the US, college basketball fans are currently obsessed with March Madness. What's the last sporting event that you watched? I haven't watched any sports in a while. BUT BASEBALL STARTS NEXT WEEK! 8) In 2013, when this song came out, Pope Francis became the first pope from a Latin American country. Latin America generally includes Mexico, most of Central and South America, and in the Caribbean, Cuba, the Dominican Republic, and Puerto Rico. What's the farthest south that you've ever traveled? Honolulu. 9) Random question -- What button would you prefer your life to have: rewind, fast forward or a pause? Fast forward. Where will I be living on 12/31/19? A real estate agent is coming over tomorrow to assess selling our building. I too suffer with the fat finger syndrome, I always loved Elvis, and your answer about getting dressed made me chuckle. So many distractions, but I applaud your time! It is my hope December finds you in a wonderful place! I just love The Great Gatsby. My fingers are also fat...what is up with that? I take a really long time to get ready....goodness! I am so ready for baseball! Loved your answers! Have a nice weekend! I have fat fingers as well... and I chuckled at #5... I do that do! Have a great Saturday! I'm laser focused when I'm getting ready to go somewhere. And I hope 12/31/19 finds you in a great home. In your shoes, I would want to fast forward, too.